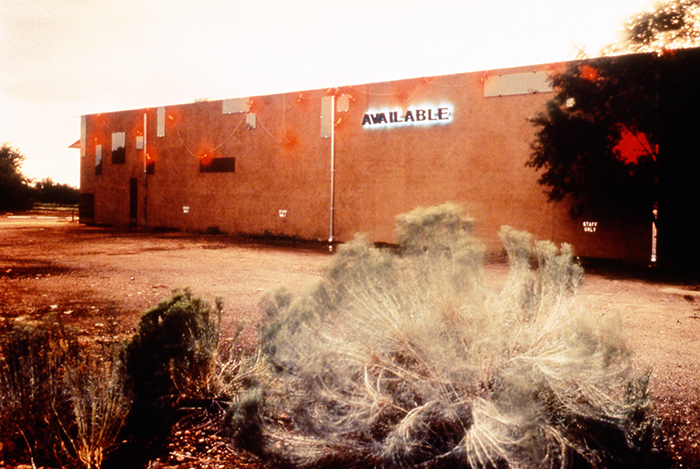 This work raises questions on the relationship between identity and place. 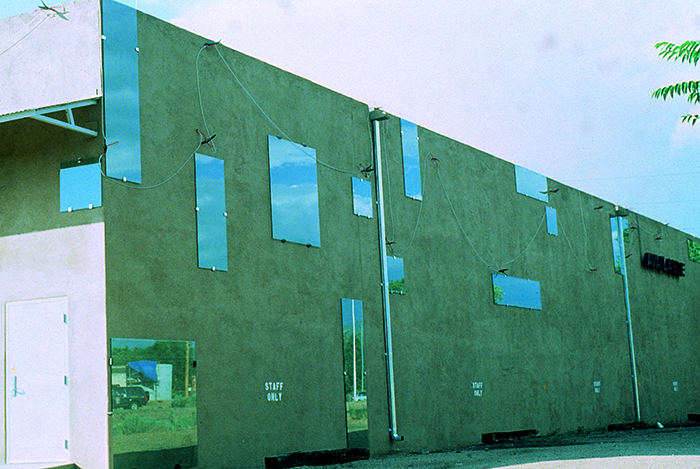 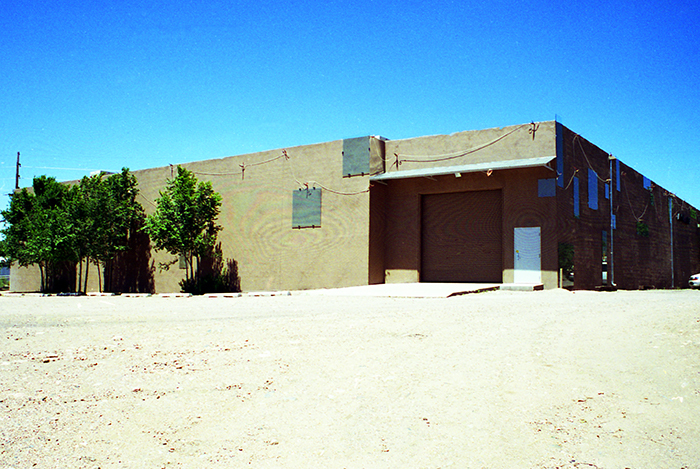 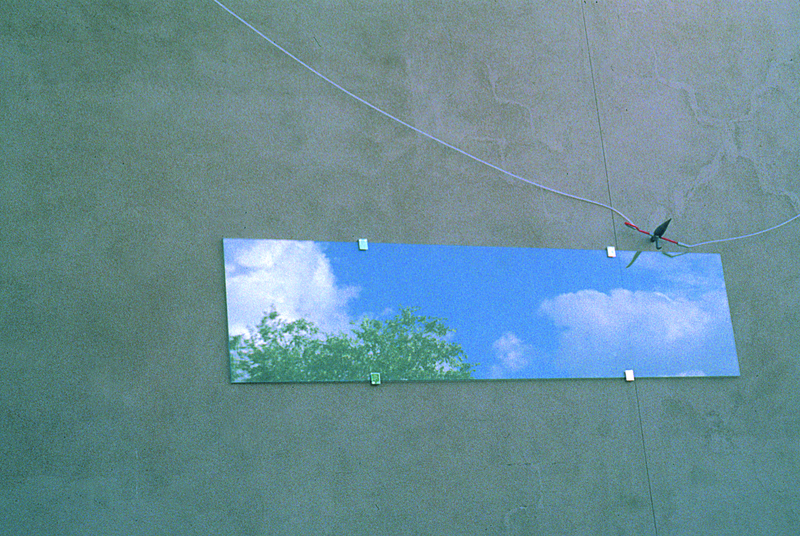 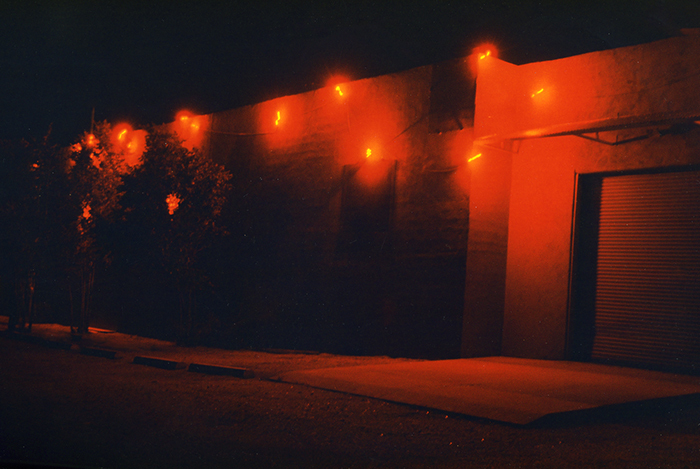 Rectangular pieces of glass on the exterior walls of the former warehouse building reflect, during daytime, the surrounding reality of Santa Fe, New Mexico; their “salon style” arrangement referencing the traditional art museum. 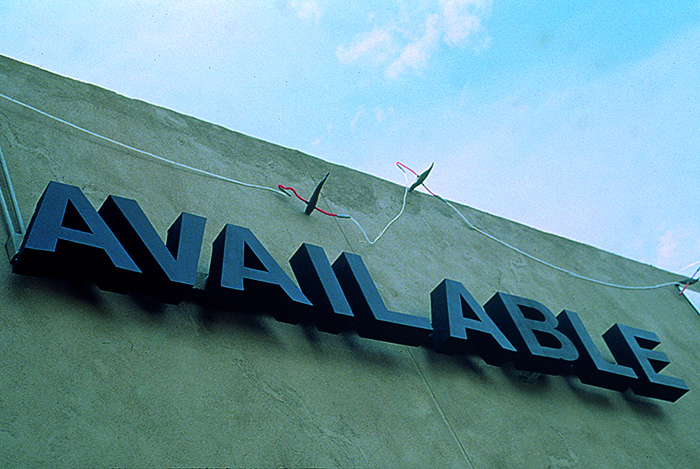 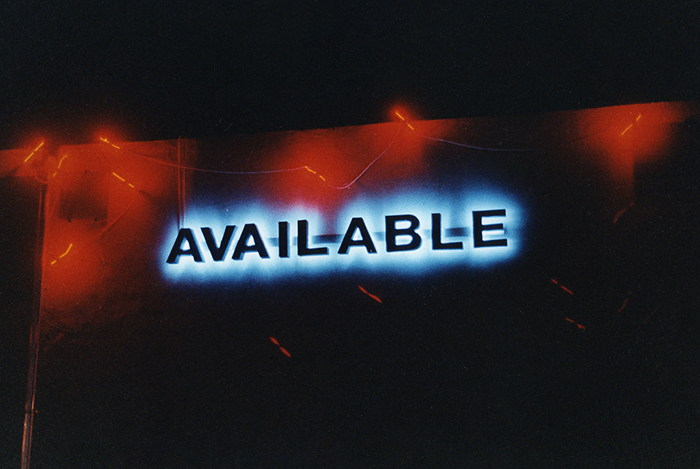 The word “Available”, which appeared previously on the warehouse wall as a real estate advertising sign, reappears in large, neon backlit letters high atop a sidewall for optimum legibility from a passing car. 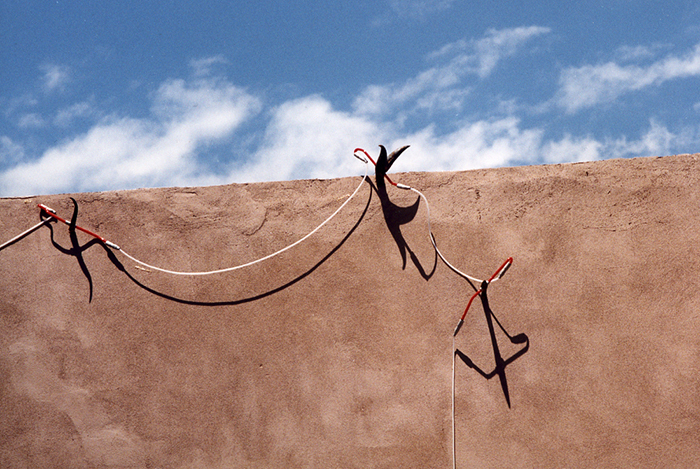 A concurrent installation in the Museum of Santa Fe is comprised of a vitrine containing two photographic images of the multiple communities that live in the region. 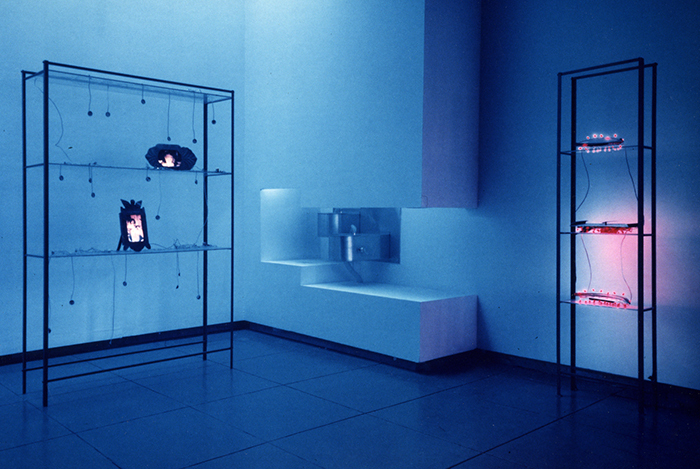 Tiny circular speakers hanging from the vitrine emit the noise of breaking glass, pointing to the fragility and fragmentation of identities, nations, and environments. 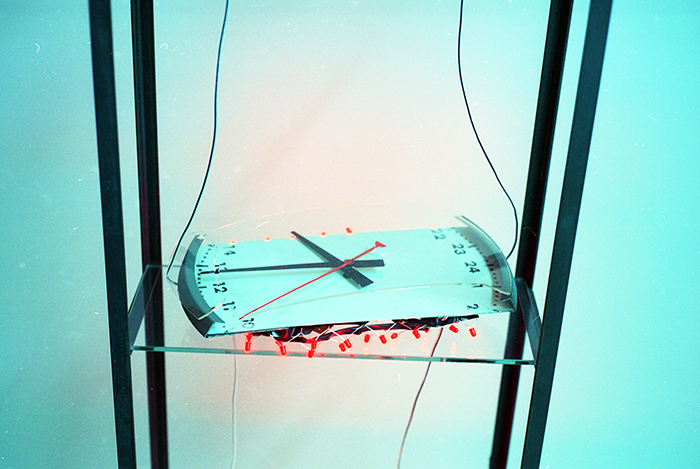 A broken clock makes reference to the instability of time.